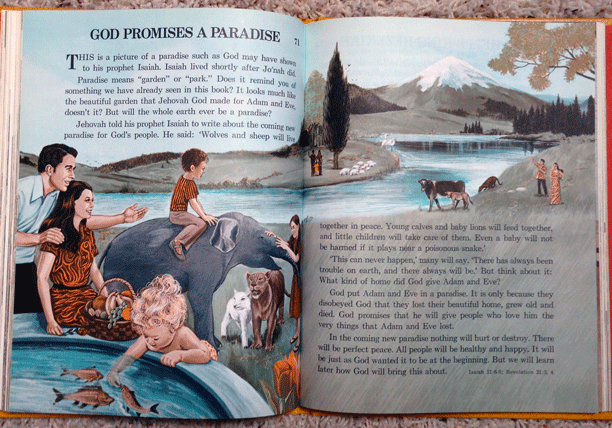 Here's an interesting little book that might be of particular interest to Jehovah's Witnesses. 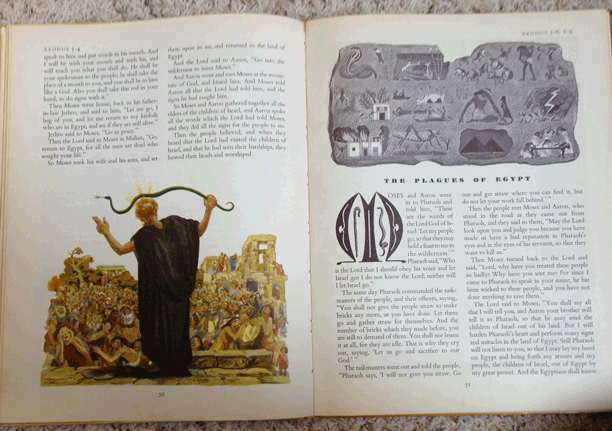 It's a first edition; 2 million copies were printed. 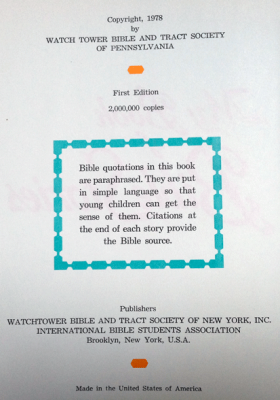 It was published by the Watchtower Bible and Tract Society of New York, Inc. International Bible Students Association. It was made in the USA. It has both black and white and full color prints inside. 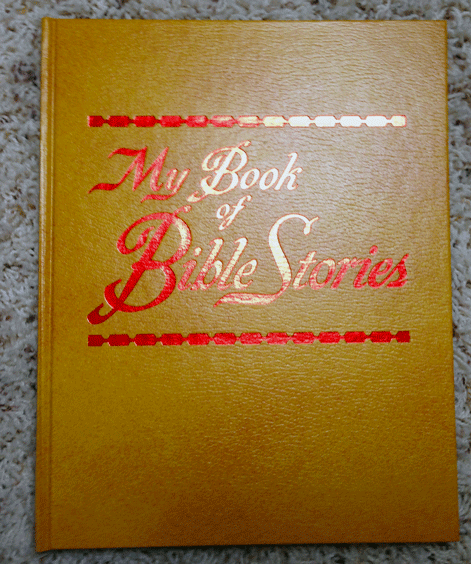 The Table of Contents shows 116 bible stories written for children. It looks new, but smells like an old book. I'm pretty sure it's never been read. It's a hard cover, large, about 9 x 7 inches. I can find no acknowledgement for author or illustrator anywhere in the book. 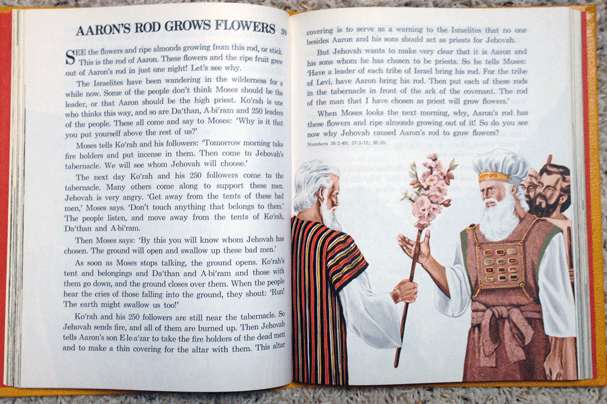 More pictures of the book are below. 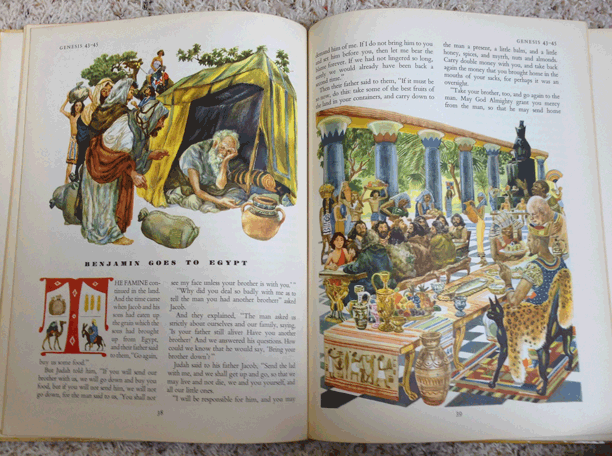 The full title for this hardover Golden Book is The Golden Bible - The Old Testament - Illustrated by Feodor Rojankovsky. 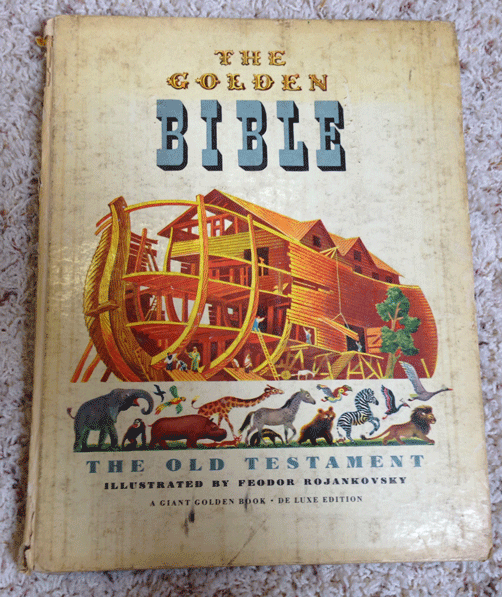 A giant Golden Book, De Luxe Edition. 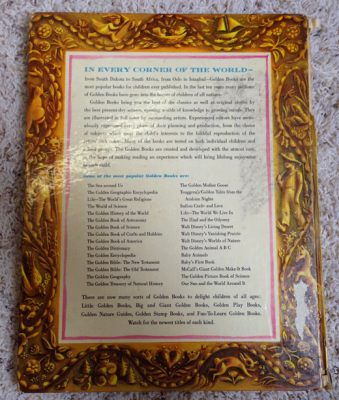 It was published by Golden Press, New York. This book had a coating of cellophane over it that has slowly peeled off over time, but some of it still clings to the binding of the inside cover. 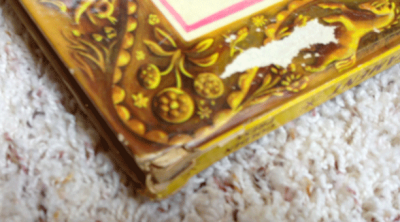 The cover is in poor condition, see the photographs below for more details. 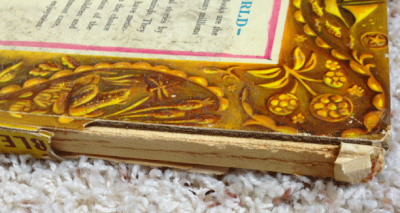 There is an inscription inside written in blue ink where the book was presented to a young student for excellence in the fourth grade by The Church of the Advent, and this is dated 1961-62. The only date I can find as to printing of the book is the copyright of 1946. This leads me to believe it may be possible it is a First Edition. This is a large book; 12.5 x 10 inches. This book is at least 50 years old. 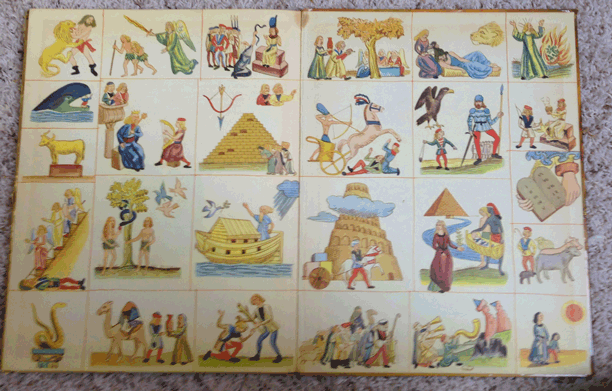 You can find more pictures of the book below.